2018 was the year of PlayStation VR for me. My library wasn’t vast and yet it somehow produced my most surprising and disappointing games of 2018. 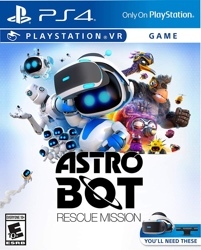 It’s a bit unfortunate that Moss and Astro Bot: Rescue Mission were bundled together with a PlayStation VR headset. 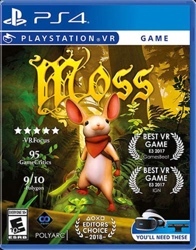 My expectations for Moss were a bit too high coming from Astro Bot: Rescue Mission. The little robot showed me the best of PlayStation VR’s sit-down experience while the little mouse reminded me that not everyone has this VR thing figured out yet. Astro Bot: Rescue Mission convinced me it was possible to fuse a traditional 3D platformer with virtual reality to produce an awesome experience. It was like playing Super Mario Galaxy for the first time. The technological gimmicks worked and only served to enhance my enjoyment. It’s certainly possible to play the game without VR but a lot of the fun was pulling off those traditional platformer moves from weird and unorthodox perspectives. I felt like I was playing an intricate part in helping my little robot friend find his buddies.